Big Girl Jillian Moreno (right) was formerly marketing director with Interweave Press, and helped launch magazines like "Interweave Knits, Beadwork," and "Natural Home Magazine." She's the catalyst for Knitty.com and a frequent contributor. She lives in Ann Arbor, Michigan, with her husband, two adorable children, a basement full of yarn, and more books than the local library. This is her first book. Big Girl Amy R. Singer (left) is the founder and editor of the web-only magazine Knitty.com. She is also a columnist for "Interweave Knits" and a professional editor and proofreader in the advertising industry. She lives in Toronto, Ontario, with her husband and two rabbits, who are eating the house one piece at a time. This is her second book. 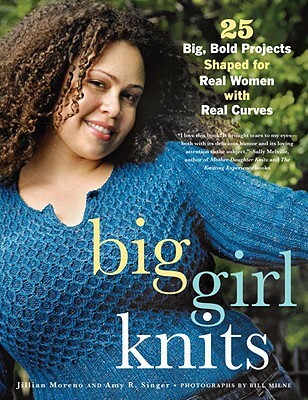 Visit them at www.biggirlknits.com. "From the Hardcover edition."